Here is a heartwarming story published by Charles White for metro.co.uk. Muslims have rebuilt a church that ISIS destroyed in Mosul, Iraq. The Chaldean church was left in ruins after Kurdish and allied forces pushed ISIS out of al-Arabi in Mosul. The church, which was attacked on many occasions by ISIS, is in full communion with the Pope in Rome. The rebuilding effort itself was sparked when Muslims in the community were accused of harassing a Christian family. The Muslims, who were horrified after reports claimed Christians were still facing discrimination and abuse, said that they rebuilt the church to show that Mosul is a place where Christians can live freely and safely. Macintyre notes that Iraqi Christians were driven from their homes by ISIS in the summer of 2014, when some 80,000 Christian refugees fled Mosul and the Nineveh Plain under threat of forced conversion or execution. 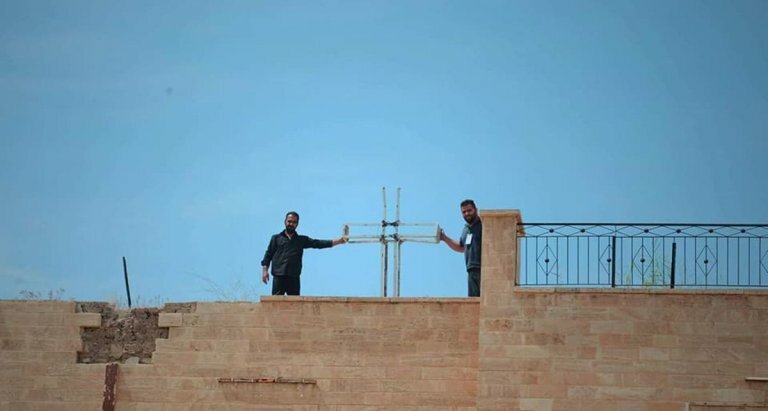 Iraq has one of the oldest Christian communities in the world, but this community is dwindling due primarily to ISIS’s destruction of Iraqi churches, books, and Christian spaces. The 2,000-year-old Christian population has recently shrunk from 1.4 million to around 250,000 in the aftermath of the 2003 U.S. invasion of Iraq, which many experts blame for the rise of ISIS.